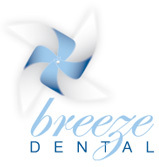 Want affordable Teeth Whitening by a Gold Coast Dentist? A Brighter Smile? There is no need to be embarrassed about your smile any longer. For a smile that lights up the room, we recommend Zoom! Tooth whitening treatment. Teeth Whitening is one of the most popular cosmetic treatments and is designed to remove discolouration and stains on your teeth. Zoom! Take Home Kit for $200 for teeth whitening in the comfort of your own home, and Zoom! In Chair Tooth Whitening as seen on Extreme Makeover for $699, or $799 including a basic teeth cleaning. Please contact our helpful staff to arrange a consultation to see if Zoom! Tooth whitening is right for you or see www.zoomwhitening.com for more information.